We’re looking to show off our city’s most talented kids during National Library Week! 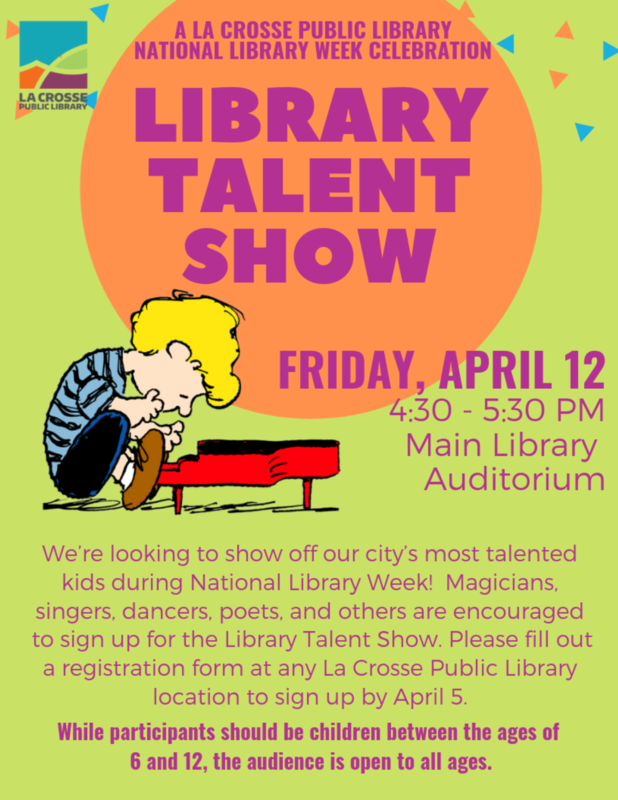 Magicians, singers, dancers, poets, and others are encouraged to sign up for the Library Talent Show. While the talent show performers will all be between the ages of 6 and 12, the audience is open to all ages. Registration for performers is now closed. If you're interested in performing in this year's talent show, our Youth Services desk has started a waiting list in case we have any cancellations this week.